Architecture has been the focus of my life since I was eight years old. 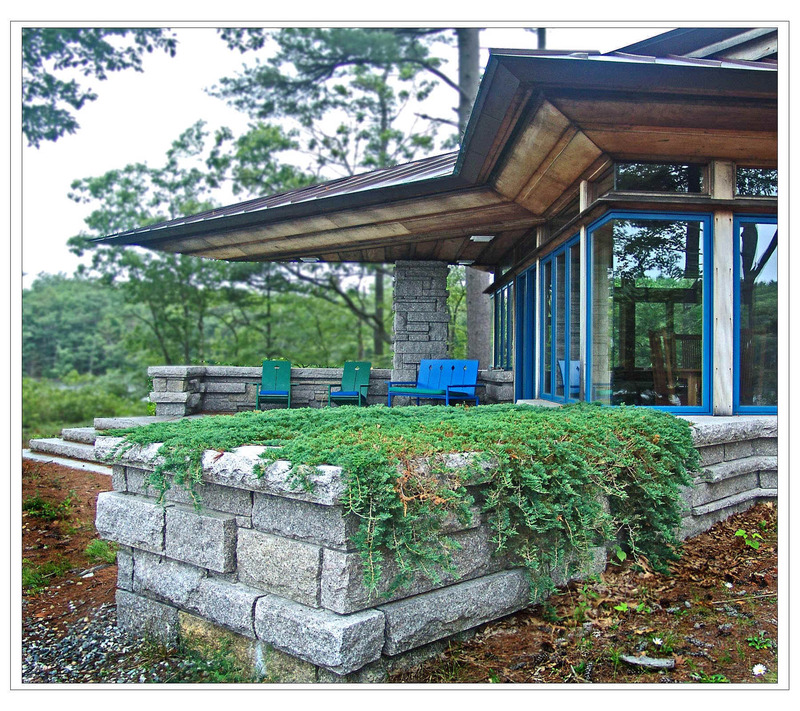 As a member of the Frank Lloyd Wright Taliesin Fellowship, I learned to create original design. This learning continues as I add experience with practice. At my old table in the Hillside Drafting Room, Spring Green, Wisconsin during the Reunion of the Taliesin Fellowship September 2002. The HISTORY of James Walter Schildroth, Architect. Grew up living in houses built by my Father, on the shore of Silver Lake near Traverse City, Michigan. http://www.taliesinpreservation.org/visitors-guide/our-tours/virtual-tour Virtual-tour of Taliesin Buildings. James Walter Schildroth Associates, Architects: Founded1970. Continuous practice to present date. First office space shared with Frank Dameron Leach, Architect, Middleton, Wisconsin. June 8, 1971: Open Maine office in Wiscasset. A 250 square foot store front on Water Street. June 1972: Move into 1200 square foot office at 15 Federal Street , second floor of the Stacy House, Wiscasset. 1994 Move office from Federal Street to 18 Lee Street, Wiscasset, Maine. 1998 Build my own web site and publish it on the world wide web. 1999 First Client finds me on the World Wide Web. 1999 Buy lap top computer and travel for three months in the USA by car. I am able to practice at distance and keep in contact by e-mail. 2000 Begin learning Computer Aided Design, DATA CAD 8.5 by designing a house. On September 16th I present the design to my client on the computer screen at my studio in Wiscasset. 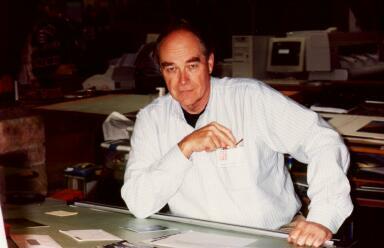 2000 James Schildroth's Architectural practice is totally electronic and mobile. Nearly all functions of practice are accomplished using a computer. Nearly all communications are via e-mail or via my web site. I still do hand renderings and sketches for my clients. 2004 Working with clients at distance we have successfully completed several projects sending drawings electronically via e-mail using PDF format. 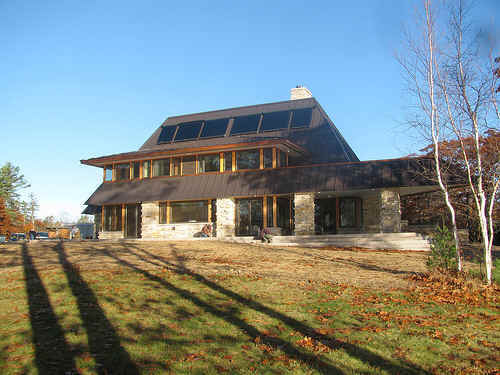 Since 1988 I have focused my practice on the design of one of a kind residential architecture. This work requires that client, architect and builder work in a three way partnership. Design begins at our first meeting and continues to be refined throughout construction, as these wonderful houses become built realities. University of Maine at Augusta, Architectural Studies Program: Review of student design projects since 1990. Spring of 2007Adjunct Professor at University of Maine at Augusta, The B.A. in Architecture Program, Arc 489 Tuesday 4 to 6:45 PM, Design Principles and Process of Organic Architecture. November 1, 1990 Organic Architecture: Evening talks with the Architect at his office on Federal Street, Wiscasset, Maine. Thursday evening on four successive weeks. DISCOVER THE HOUSE WITHIN YOU. November 3, 1993 Lecture with slides of my architecture. Wentworth Institute of Technology, Architecture Department, Boston, Mass. Titled: "The Organic Practice"
April 12, 1994, Lecture: Bowdoin Jung Seminar, Bowdoin College, Brunswick, Maine. Titled " Taoism and the Architecture of Frank Lloyd Wright"
January 11, 1998, Lecture: C. G. Jung Center for Studies in Analytical Psychology, Brunswick, Maine. Titled "The Creative Mind"
April 17, 2001, Illustrated lecture, Bowdoin College Jung Seminar, Brunswick, Maine. Titled "The Creative Process and the Collective Unconscious: Where do Ideas Come From?" Mentoring students: Since 2001 I have spent one day a week Mentoring Students at my studio. I usually can take from one to three at a time. They are involved in the on going work in the office and on site construction. They help where they can with my work and the lessons are in all phases of architectural practice.